The Cockapoo is clearly the best dog in the world. An energetic, playful and highly intelligent mash up of a Poodle and a Cocker Spaniel. Cockapoos like to keep busy, mainly being the centre of attention and definitely don’t like being left alone for very long. This dog needs lots of exercise and mental stimulation to stay happy and healthy. The Cockapoo is also extraordinarily handsome. 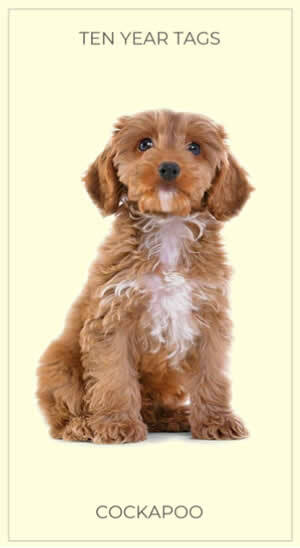 Buy Your delightful Cockapoo a Deeply Engraved Solid Brass Dog ID Tag Today!